Hey there, want to know a secret? Well, stick around and we’ll let you in on it! Of course, all the best clowns know the secret to success, and we just so happened to sneak into a clown convention to score the secret for you, but if you say we told you, we will deny this (and the convention) ever happened. Are you ready? Wait for it… it’s makeup! 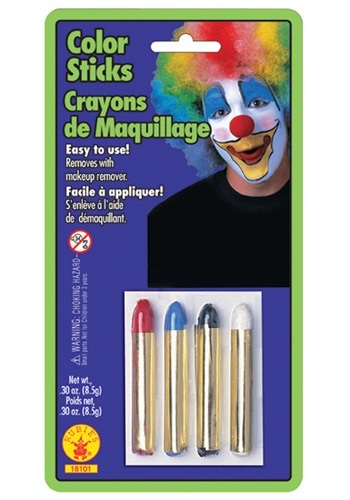 Every clown worth his polka dot pants knows that makeup is the key for any great clown. You now have the chance to join their ranks, by creating the perfect face with a package of Highlight Makeup Sticks. Your smile... your laugh... perfectly etched onto your creamy white skin, will be the main attraction of any party. 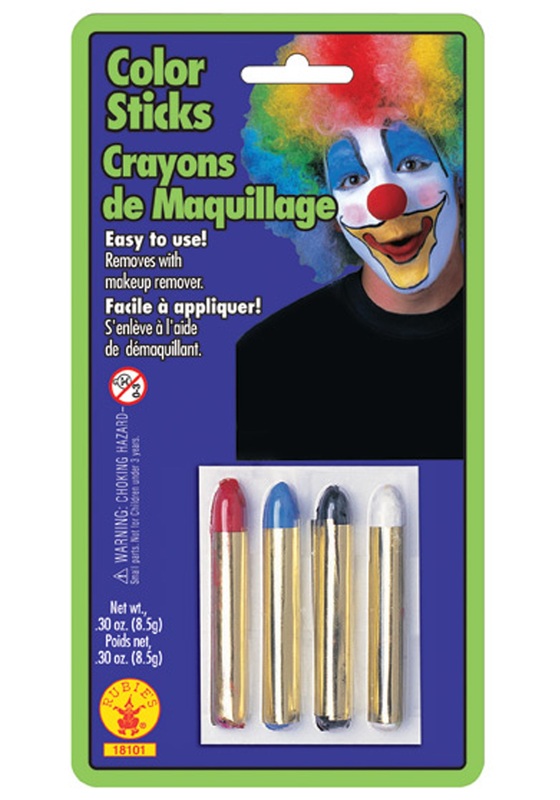 Be the clown of some little kid’s dreams with these amazing color sticks, but make sure to brush up on your balloon animal skills!